Beets just made our list of favorites. Not even kidding. My kids went back for seconds of beets and nothing else. 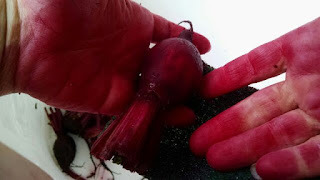 I pulled the beets and hosed them off. Then I scrubbed them with a soft vegetable brush. Chopped off the leaves, but left a couple inches of stems. Two different sources told me that would keep them from bleeding out like before. Then I set them in a casserole dish, covered them tightly with foil and baked them. At 350 degrees, they were in there for way too long. I got busy and didn't check them for over an hour. I was cooking some chicken too, and for some reason chicken takes a long time for me. So they were both in there for over an hour. 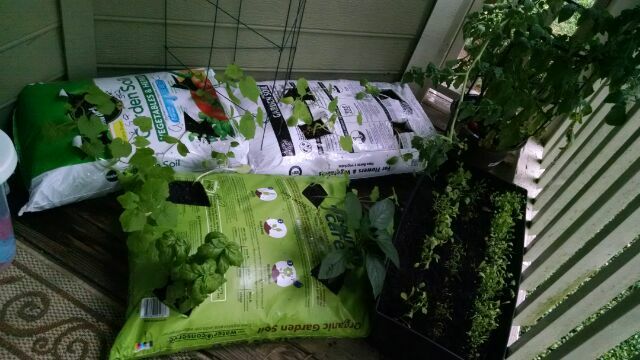 The balcony farm is growing, but not getting enough light. The plants are leggy. That is garden talk for floppy and stretched out. The plants toward the back are pale, like they need nitrogen. I put a few more pellets of fertilizer on them, but I feel like they should not need it. The fertilizer we put on initially is a 3-4 month fertilizer. I guess we'll find out if more was too much pretty soon. Scrubbing with a Brillo pad removed most of the skin, and soil. That's not blood. It is beet juice. Wear gloves. Beets are the new kale. Right after the broccoli greens. Hipsters are going to be so healthy! And broke! A small bunch of beets, meaning 3 beets, at the grocery near my house, is $3! Peeling the beets though, that's what they are hiding. 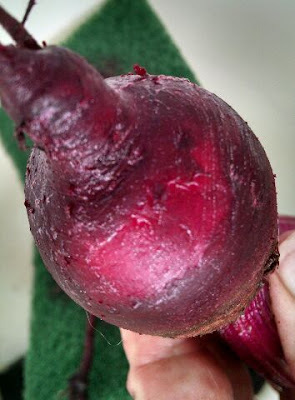 You'll have to look it up to find out that peeling beets is equivalent to peeling moon rocks. 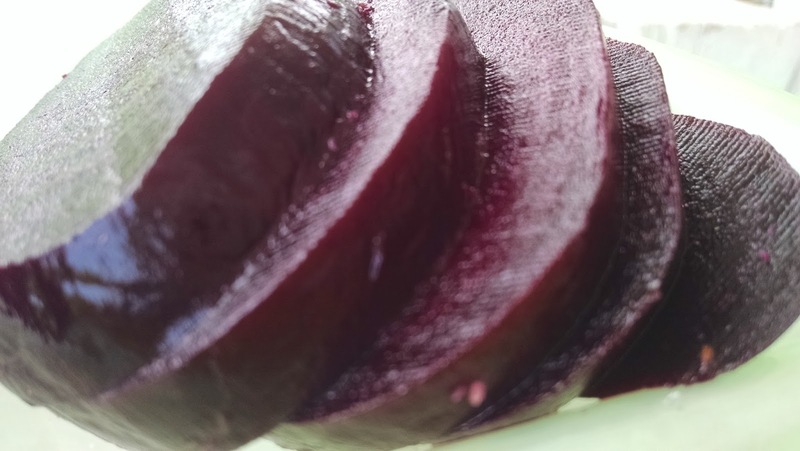 All those beautiful Pinterest recipes only show the pristine, tempting, amazing-looking dishes filled with shining, deep red, super-foods that will make you live forever! They gloss over the peeling-the-beets part. It also released their bloody essence.